There are roughly 30.2 million small businesses in the United States, and they all have one thing in common: a universal dread of taxes. If you're a first-year business owner, the prospect of Tax Day might sound like something out of a horror movie. But filing taxes for small business doesn't need to feel like pulling teeth. Here are eight tips to make your tax season less stressful. The first thing you need to know is that the foundational legal structure of your business will have an effect on your tax burden. So if you thought your business would be taxed the same as your neighbor's, think again. The type of business structure you have will change how your taxes are structured. A sole proprietorship, for example, is taxed the same as an individual, while a C-corporation is taxed entirely differently. Regardless of your business structure, one of the best things you can do to help your business during tax season is to keep good records. 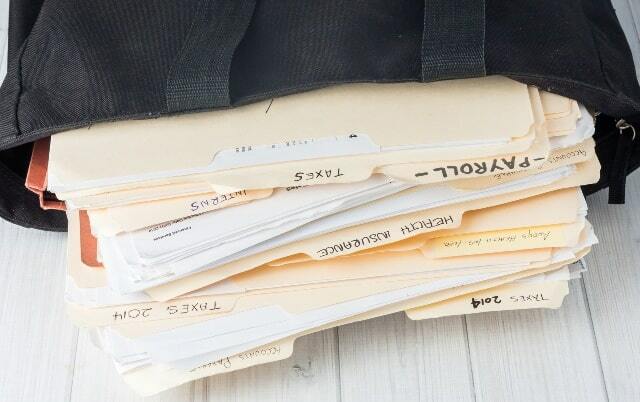 You might think you'll remember everything you need for your taxes, but the truth is, there's simply too much information. At a minimum, you could leave a deduction on the table. At worst, you could put your business at risk of an IRS levy or the ever-dreaded audit. If you find your business facing a levy, read more to find out about how to get out of it. But ideally, you should avoid dealing with a levy or an audit in the first place. Everyone's favorite word during tax season: deductions. It's almost like getting free money (or, you know, keeping the money you worked hard to earn). In fact, it's one of the easier ways that business owners can save money and boost profits. The good news for business owners is that you can often deduct more than you think. So it pays (literally) to do your research before filing. That said, don't abuse your deductions. If you don't have any deductions to take, then don't take them. You might think of it as no harm, no foul. But the IRS flags any unlikely or questionable tax deductions, which could create trouble for you later. A commonly abused business deduction is the deduction for business dinners. To clarify: no, you cannot completely write off business dinners, and the fact that you can write off part of the bill doesn't mean you should go all out every time you meet a client. Another common one is car and truck expenses. The IRS will get suspicious if you say you use your car for business 100% of the time--you cannot honestly say that you never use your car to pick up the kids or buy groceries. Of course, deductions aren't the end-all-be-all of your taxes. You also need to decide on other things, like your accounting basis. You have to choose between two options: cash or accrual basis. Under the cash accrual basis, income is recognized when collected and expenses are recognized when paid, while under the accrual basis, income is recognized when earned and expenses are recognized when incurred. It's a subtle distinction, but it will make a difference on your tax forms. You'll also need to choose a depreciation method before you start filling out your taxes. Tax depreciation is the depreciation that a business owner can list on their tax forms as an expense for a specific reporting period, which can significantly reduce the business's taxable income. So, for example, instead of writing off the cost of furniture and equipment over five to seven years, the IRS allows first-year business owners to take a deduction of up to $100,000. As you can guess, most business owners prefer the deduction. That said, you can't take the deduction if you don't have profits. What you can do is carry it forward into profitable years by using a slower depreciation method to maximize the deduction once you're in a higher tax bracket. Being your own boss can be a blast. But one thing that's definitely not fun about working for me, myself, and I is the self-employment tax. When you work for a company, the company removes a certain portion of your income before paying you. This pays off your portion of the Social Security and Medicare tax. Since they do this automatically, most people tend to forget about it. But when you're self-employed, no one is automatically deducting your portion, and there's no employer paying half of that tax. So instead of paying that bill each month, you have to pay it in the self-employment tax in order to make up what you would have paid otherwise, and you have to pay as both employer and employee. Unfortunately, many small business owners tend to overlook this tax, only to find that it makes up a significant portion of their tax bill on Tax Day. The best thing you can do for the self-employment tax is to plan ahead. Look at the self-employment tax rate for the tax year and put away that percentage of your income each month. That way, you won't be hit with a monster of a bill that puts you in the red for months. Finally, make sure to file on time. The IRS isn't out to get you, but they can make your life unnecessarily difficult if you make their lives unnecessarily difficult. Pay your taxes in full, and pay them on time. It's the single easiest way to avoid the ire of overworked IRS employees. If you keep these tips in mind, filing taxes for small business is a breeze. And if you need more helpful posts like this one, check out our blog for more ideas, like this post on how to run your business on a shoestring budget.